In modern football the position of a Premier League manager is about as secure as Alistair Cook’s wicket in the current Test series with India. Chairmen swing the axe at an alarming rate and most bosses are just three bad results from the chop. This year’s favourites to be the first to go are West Brom’s Alan Irvine (5/1), Alan Pardew and Sam Allardyce at 6/1 respectively with Harry Redknapp (8/1). Should any of these men go early then overseas replacements could prove difficult to acquire, leaving owners to chase the men already impressing in England. Here Ladbrokes News’ James Curtis lists five Championship managers that should be on top flight clubs’ radars when the inevitable occurs. After two stints as caretaker boss Bowyer was finally handed the reins on a permanent basis and showed glimpses of his potential in steering Rovers to an eighth-place finish last year. The 43-year-old has kept hold of star striker Jordan Rhodes despite Premier League interest and at 5/1 for promotion is expected to go well with Blackburn this year. This young, British manager could be exactly what Newcastle need if the ugly side of Alan Pardew returns this year. At 36 Howe is one of the youngest managers in the Football League and his success with the Cherries has not gone unnoticed after steering the south-coast side from a relegation battle to promotion to the second tier on his return to the club. Last season saw Howe secure the club’s highest-ever league finish and should QPR dispose of Harry Redknapp this term Howe represents a younger and hungrier version of his one-time mentor. While signed to a three-year contract many are of the opinion that Hyppia sees Brighton as the first rung on his managerial ladder in England. After enjoying moderate success with Bayer Leverkusen – his was the only side to beat Bayern Munich at the Allianz in 2012-13 – the Finn has been handed the reins at the Amex with a view to securing a 9/2 promotion. Hyppia’s desire to reach the heights of the game, however, mean he would struggle to turn down the likes of West Ham as a stepping stone towards bigger and better things. Rosler has made no attempt to disguise his desire to manage Manchester City and while the former Citizens player may be a way off he has impressed in his brief spell at the Latics to date. At 3/1 for promotion Wigan will be mixing with those at the top of the league and another good cup run will put the German at the forefront of Premier League thinking if new managers are required during the course of the season. Ignoring the fact that he’s commonly referred to as Schteve or the Wally with the Brolly, McClaren has a stellar CV boasting three Premier League titles, an FA Cup win and the Champions League as an assistant plus a League Cup and Eredivisie title as a boss in his own right. 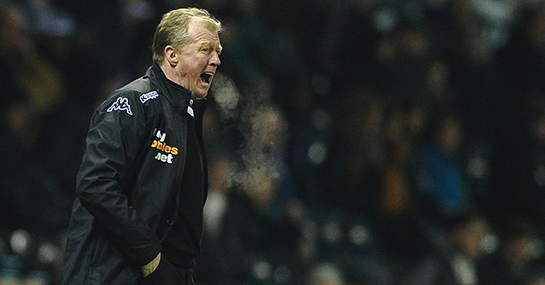 The Rams are second favourites for promotion at 13/5 this year so the top-flight is certainly on the former England manager’s horizon but if a position becomes available McClaren, who has worked for five clubs since 2010, could be on the move again!